For the second consecutive year, the United States has taken a tumble in the World Happiness Report’s annual ranking of more than 150 countries, published by the Sustainable Development Solutions Network, a United Nations initiative. The 2018 report was released Wednesday, ahead of the U.N.’s International Day of Happiness, and it has the United States ranked 18th. That’s down four spots from a year ago — and America’s worst showing since the annual report was introduced in 2012. The United States has never cracked the Top 10. Finland is No. 1, edging out Norway, the 2017 World Happiness Report champion. Denmark was third, followed by Iceland and Switzerland. The bottom three in the 156-nation list were Burundi, Central African Republic and South Sudan – all three of which have struggled with conflict and instability. Data harvested from the surveys from 2005 to 2015 points to a thorough and quick adaptability of happiness among migrants in their new countries, Helliwell said. 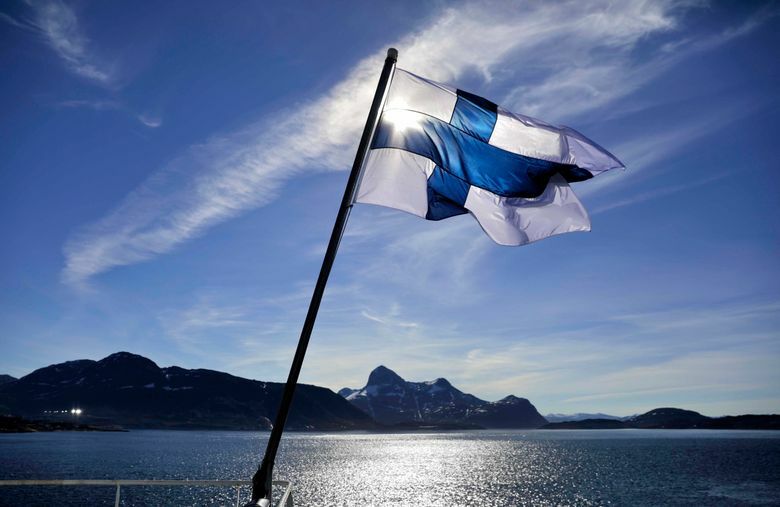 The three happiest countries for the foreign-born mirror the native-born findings: Finland again takes the top spot, and Denmark and Norway swapped places to become two and three. How migrants arrive and how welcome they are once they do can be tied to several factors, according to the report. Moderate flows of migrants were more tolerable for the native born than big influxes of new arrivals, and unskilled immigrants tend to rattle unskilled workers fearful of being displaced. “The attitude of immigrants is also important – if they are to find and accept opportunities to connect with the local populations, this is better for everyone,” the report found. In 2017, no country fell farther on the Cantril ladder than Venezuela. Massive civil unrest, severe hunger and a failed economy have triggered a mass exodus described as a humanitarian crisis. There were common threads to most of the top-ranked countries on the list. Income is the biggest factor; the GDP per capita in the top 10 is 30 times as high as the bottom 10 countries. But Helliwell said that does not always translate to happiness among individuals. Belonging and respect in civil society also play vital roles. Obesity, substance abuse (including the opioid epidemic) and depression offset the happiness that often comes with the kind of economic growth the United States has seen since 1972, the report said. Helliwell said happier countries tend to spend more time thinking about extending advantages to future generations. For instance, Norway has conserved its vast oil reserves and has invested revenue, he said, insulating the economy from erratic energy prices that contributed to Venezuela’s instability. The region is beset by lower confidence in institutions, vast income disparities and some of the world’s most violent cities due to the global drug trade. Sachs told Reuters that President Donald Trump’s policies would only make things worse.